Dedicated worker with years of experience combining management and customer service expertise in outdoor activities and assisting with personnel. 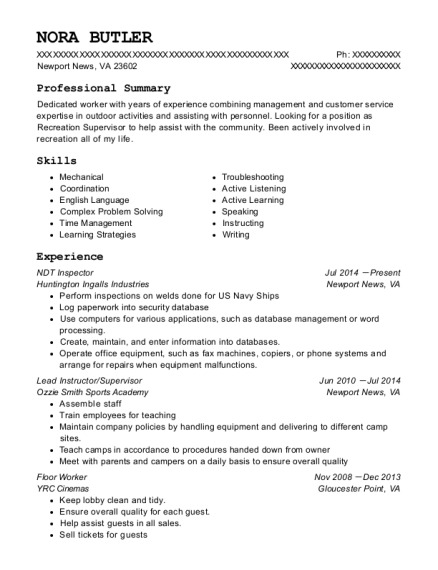 Looking for a position as Recreation Supervisor to help assist with the community. Been actively involved in recreation all of my life. Maintain company policies by handling equipment and delivering to different camp sites. Keep lobby clean and tidy. Ensure overall quality for each guest. Help assist guests in all sales. Interdisciplinary Studies : Exercice Science Murfreesboro, NC Chowan University 17 credit hours short of completion. attending online college in the summer and fall to complete degree. 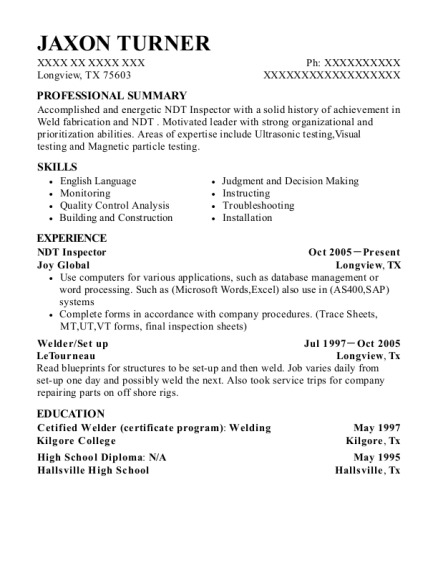 This is a resume for a NDT Inspector in Newport News, Virginia with experience working for such companies as Huntington Ingalls Industries and Ozzie Smith Sports Academy. 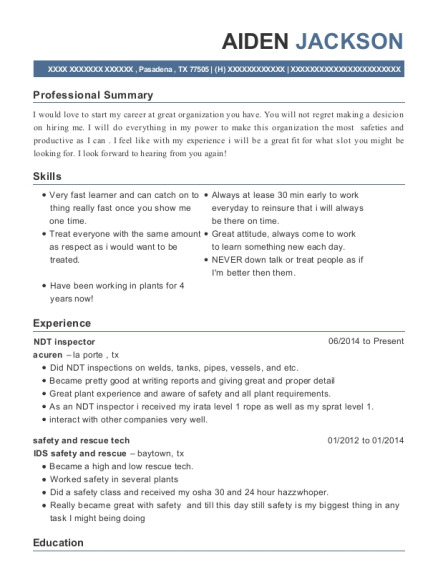 The grade for this resume is 0 and is one of hundreds of NDT Inspector resumes available on our site for free. 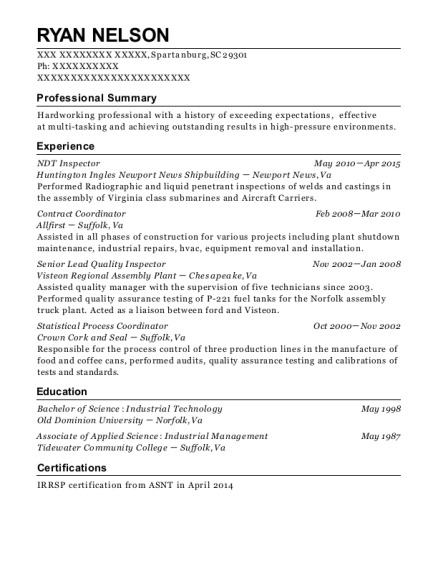 Use these resumes as templates to get help creating the best NDT Inspector resume.